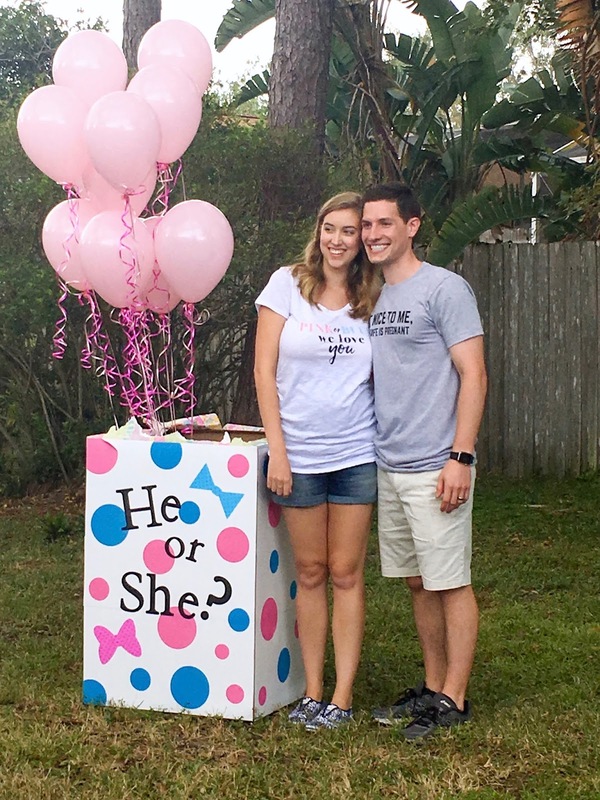 This weekend we finally found out the gender of our sweet little babe! 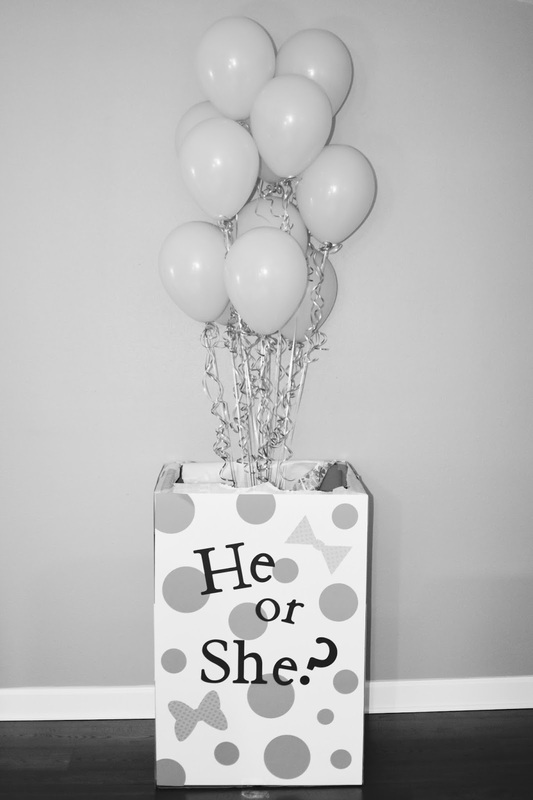 Keep reading to see all the details from our gender reveal party and see if Baby L is a he or a she! When our friends came in the door we asked them to take their guess. I made an 'Old Wives Tales' poster that shows how baby and I have been doing. As you can see in the close up below, the wives tales were pointing to boy. Despite my poster I think more friends guessed girl though! The Oh Baby balloons were from Walmart - only $5! 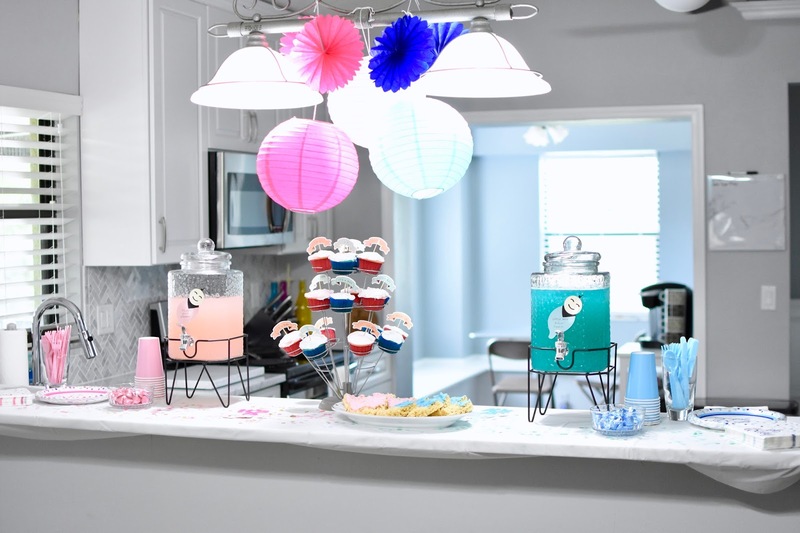 The kitchen was set up with all the pink and blue treats, plus we also had some other (less photogenic) food too. Chick-fil-a nuggets, chips (my favorite food these days! ), and fruit. 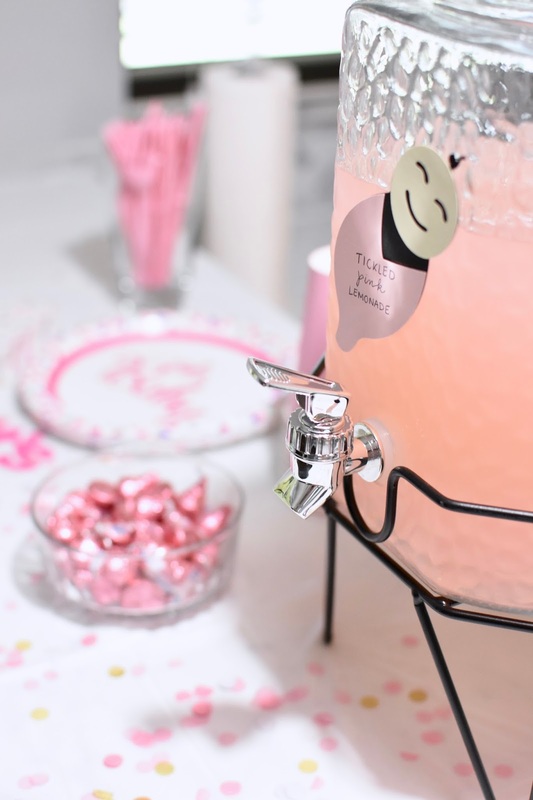 For drinks we had Little Boy Blue Punch (hawaiian punch, sprite, and pineapple juice) and Tickled Pink Lemonade. 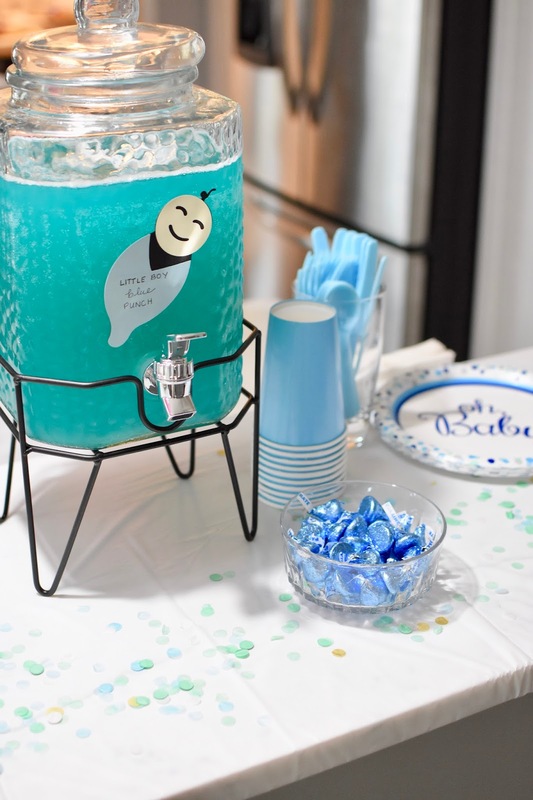 I thought the blue and pink drinks were great decoration and delicious! As you might have seen on my Instagram stories, I made blue and pink cupcakes for the occasion. The house smelled SO good when these were baking! Both were just boxed mixes - Blue Velvet and Strawberry Cake. The cute toothpicks I had purchased a while ago in the Target dollar spot - wish they still had them! All of our plates, cups, and napkins were actually from Walmart. 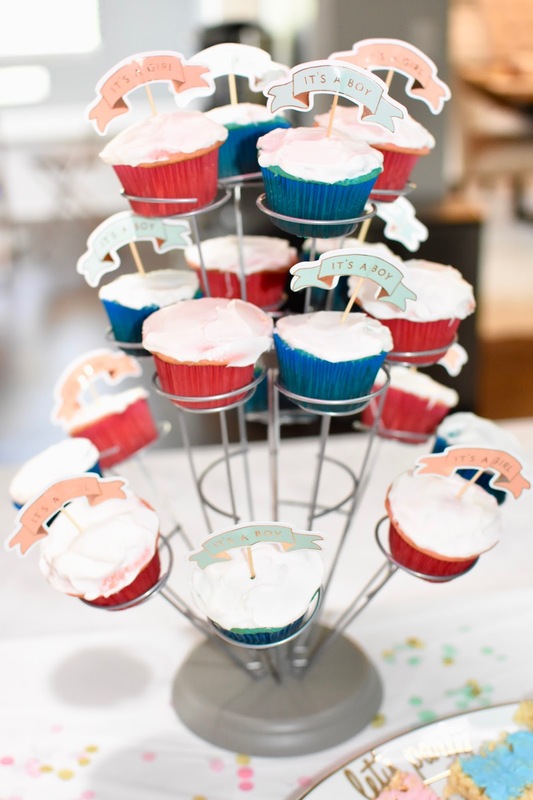 They were very inexpensive and perfect for our pink and blue split spread. 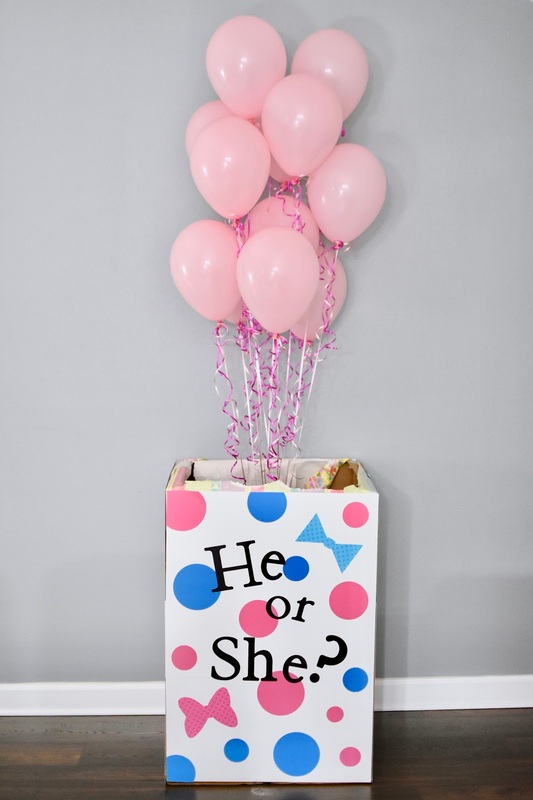 Online, they actually have gender reveal specific supplies that are way cheaper than Party City, but I liked keeping boy/girl separate so I could do the split table spread. They also have a few varieties of candy wrapped in pink, blue, and a few other colors in their party supply section, so I picked up a few packs of kisses! 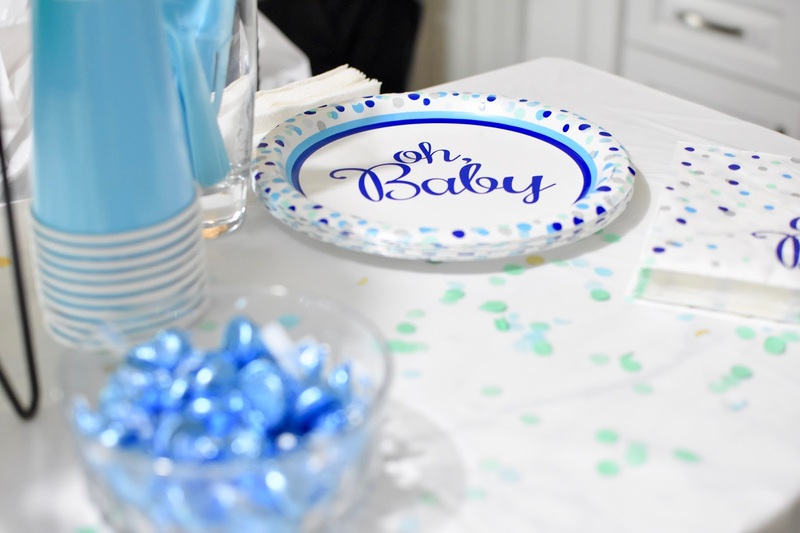 It was so much fun planning this little get together and working on all the little details. 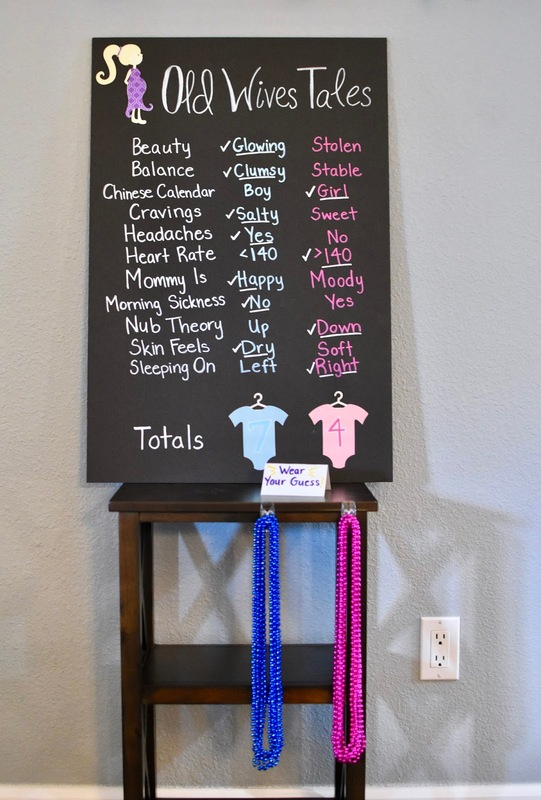 Our balloon reveal box is actually a wardrobe moving box from Home Depot, covered with poster board and decorated with cut-outs I made using my Cricut machine! Right before we opened the box I was, I guess, nervous, not because I was really hoping for one way or the other, I genuinely had no idea what baby was going to be, but it's just crazy to finally found out after 20 weeks of waiting! It's hard to explain exactly what I was feeling really, probably just pregnancy hormones - ha! As hard as it was to wait to know, it was so much fun to be surprised and to share the moment with our friends. And an extra thank you to my sister from another mister, Amanda, for being the keeper of the secret and getting the balloons perfectly secured in the box - really though, doesn't it look professional?! 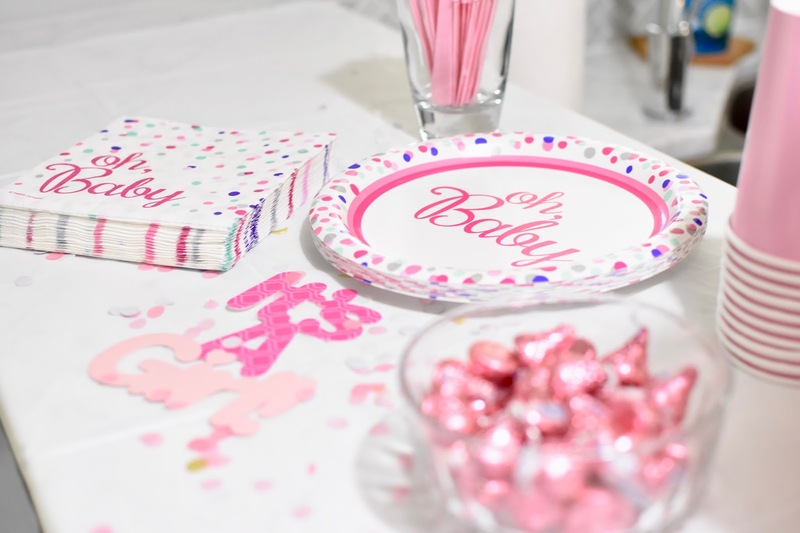 I just love love love how the whole party turned out and now the countdown to meeting our sweet girl begins! 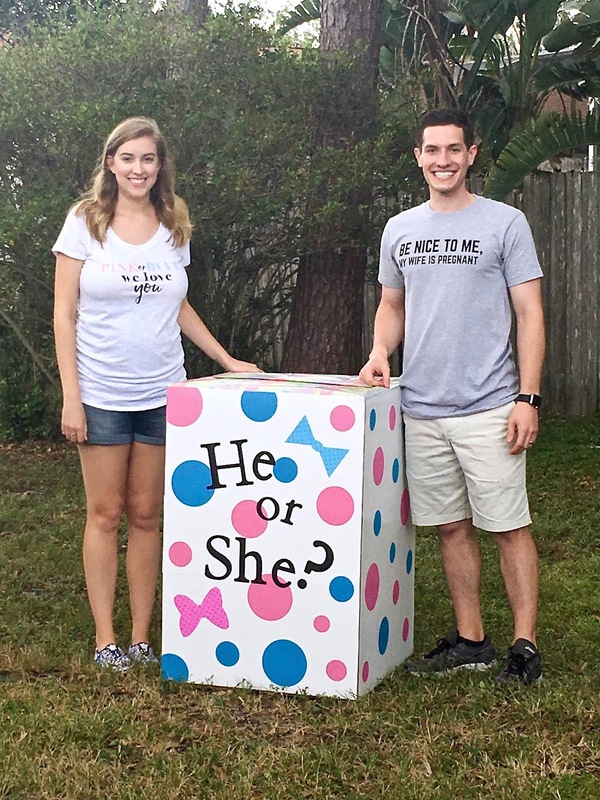 I'd love to see your gender reveal party posts if you have them, so leave a link in the comments below! How fun! Love the shirts you both wore for the reveal; too cute! For my kids, we did the traditional cake for the first. For the second, we decided to get a little creative. We had a paint fight on the beach. Our photographer filled solid red bottles with the paint and caught our reaction as we squirted each other with the pink paint. It was such a fun time.